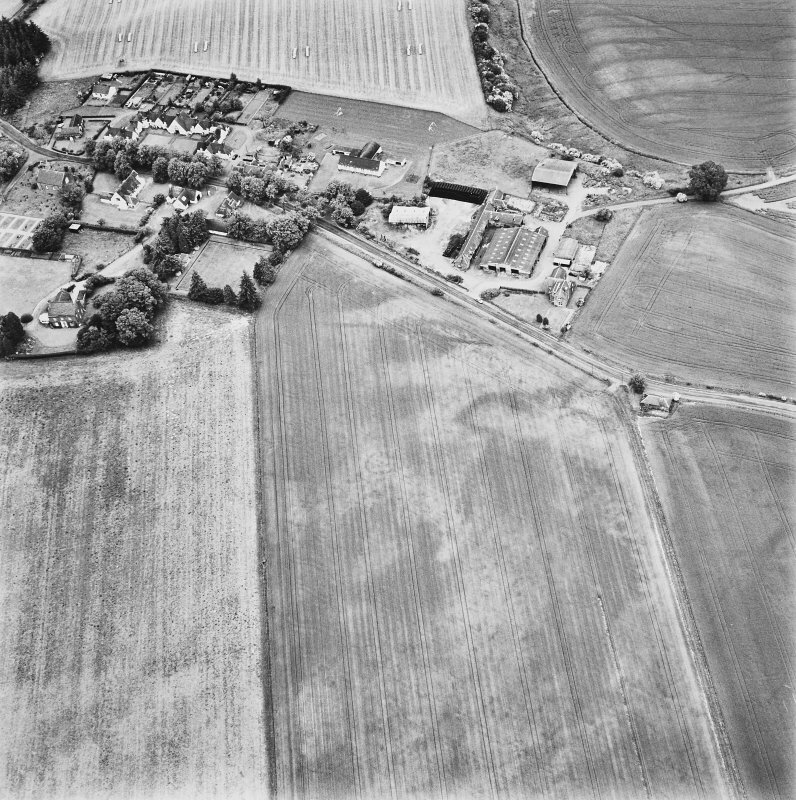 Forteviot, oblique aerial view, taken from the SSE, centred on cropmarks including those of an enclosure, a barrow cemetery and pit-alignments. 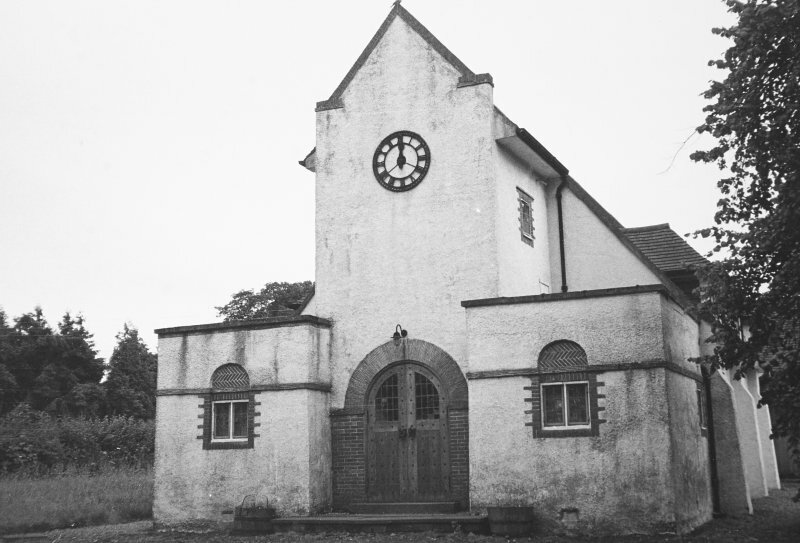 Forteviot village is visible in the top half of the photograph. 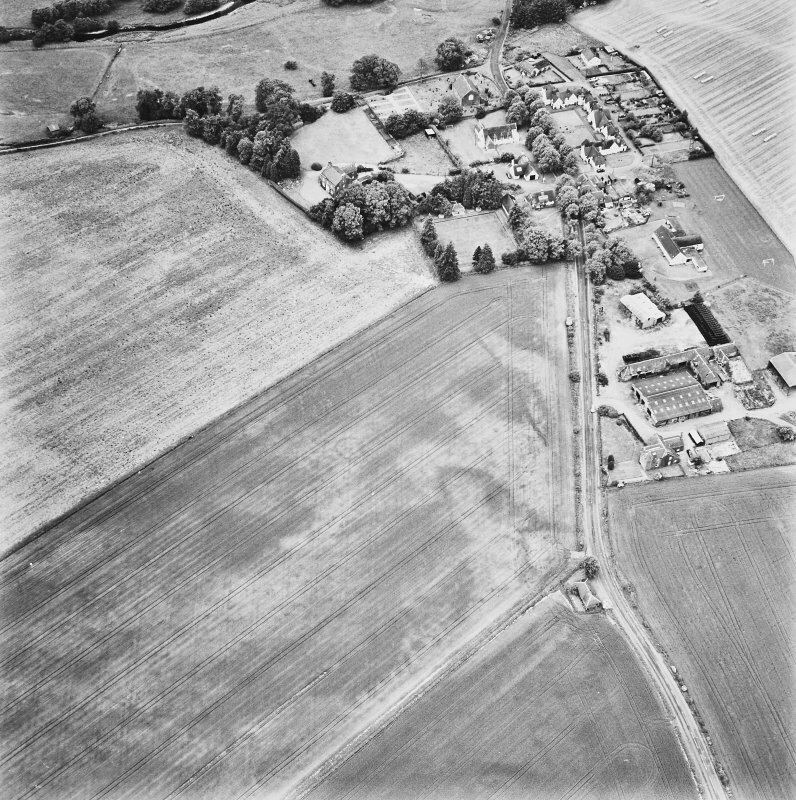 Forteviot, oblique aerial view, taken from the ESE, centred on cropmarks including those of an enclosure, a barrow cemetery and pit-alignments. 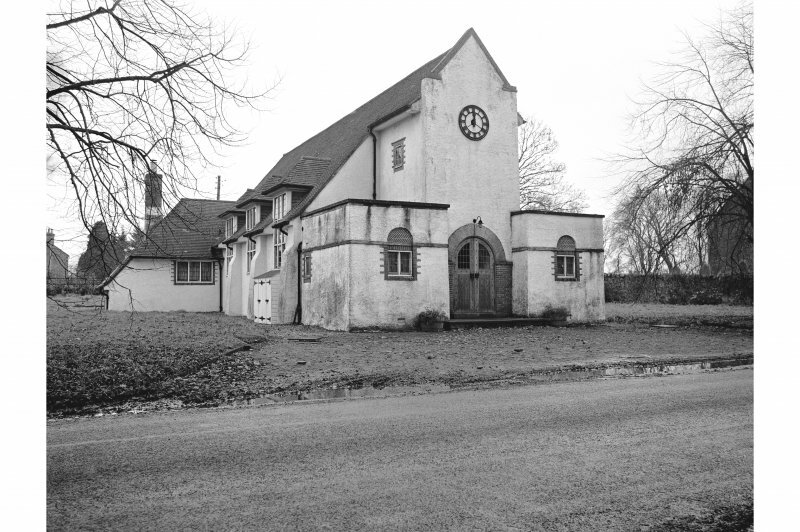 Forteviot village is visible in the top right-hand corner of the photograph. 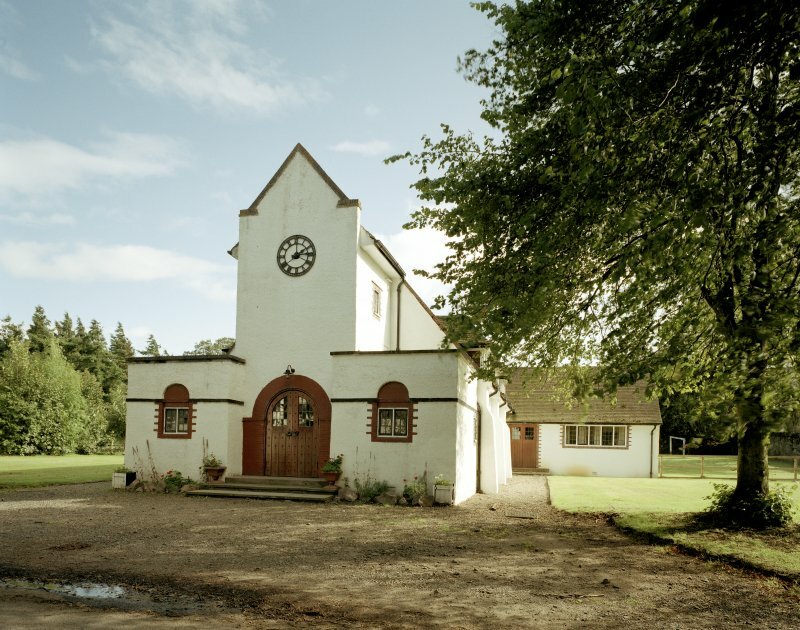 Forteviot Square, The Village Hall. General view from N-N-W.